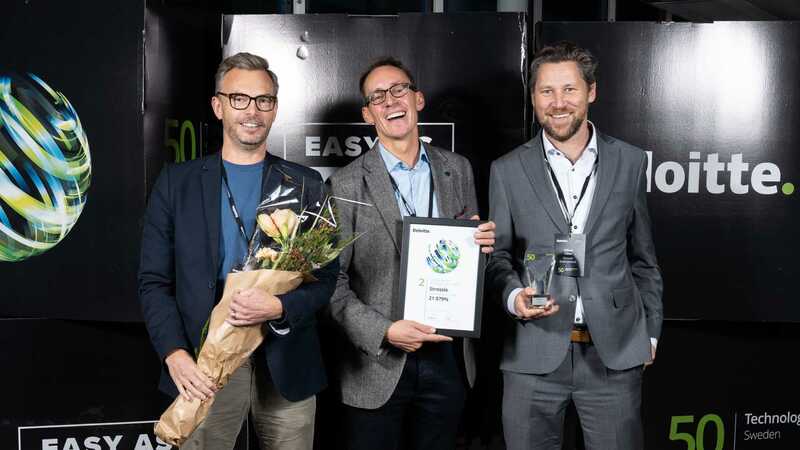 A couple of months ago Strossle was ranked second fastest growing tech company in Sweden, and we were awarded a nice glass prize by Deloitte, now residing in our awards lounge (well, I wish we had one). Until Deloitte informed us that our growth had exceeded 21,000 % in the last 4 years, no one in our company had really taken the time to do the maths (we were simply too busy growing) so the number came as a pleasant surprise to us as well. But it did make us think: what was it that had given our company such momentum? And what could we do to continue growing? There are tons of articles online on how to achieve hypergrowth–a word cherished by people referring to themselves as growth hackers, serial entrepreneurs or disruptors. Most texts are either academically dry, like this one: The 6 Ways to Grow a Company, or somewhat instrumental, like this one: 15 Ways to Grow Your Business Fast. There are certainly a lot of good advice to be found, and Strossle has ticked many of the boxes, but there are a few things that we want to highlight, that we believe were extra important to us. Tech companies tend to forget or neglect the importance of selling their products. To some extent, investors’ love for automated buying tools may have contributed to this trend (in a dream world your cost of sales should be close to zero for scaling purposes), but the most plausible explanation is that engineers simply hate to sell. Sure, building the best product has become more and more important in a globalized economy, but relying on that people will “discover” your product by themselves, is too risky a strategy. Strossle is a technology company. We develop and operate a content discovery platform used by thousands of publishers and brands across Europe. Data shows that our platform outperforms competition for most KPI:s, but we surely wouldn’t be where we are without a solid sales team demonstrating our beautiful technology to media CTO:s and brands every day. One of Strossle’s founders, Magnus Hultman, is a sales-driven entrepreneur with experience from several successful ad platforms. As the company’s first CEO he infused a strong sales culture at Strossle from day one. It has not only fostered a useful dynamic between the development team and sales team, but also generated the revenues necessary to afford growth. Google needs sales people. So do you. Everything else is just myths thriving in bull markets where venture capital is cheap. This is a difficult one, because it’s hard for entrepreneurs to influence. The optimistic nature of many startup founders make them develop and launch products solving problems customers yet didn’t know exist. I’ve done it myself, launching of Europe’s first streaming media companies in 1998, Kamera Interactive. I can tell you it was pretty difficult making people believe that those stamp-sized, grainy clips would soon replace linear-tv. Strossle was lucky enough to launch just as the content marketing bandwagon got moving. In short time the demand for engaged audiences to quality content skyrocketed. We just had to be there and deliver to our promises, and we would grow with the market. But there’s one important takeaway here for restless entrepreneurs: if you have launched in a pre-market, and struggled to survive, chances are you will be so peckish to move on once things take off, that you miss the wake of the demand-driven growth. Don’t do that. “Don't worry about people stealing your ideas. If your ideas are any good, you'll have to ram them down people’s throats”. In other words, if you are truly innovative, you must spend crazy time and energy convincing people about the genius of your business. There will be times during your startup journey, when you question the entire idea of your company. Because people will dismiss your proposals so many times it will hurt your self-confidence. That’s when you need grit. You need endurance to continue asking people what you must do to close the deal. Again and again. Remember: it’s scary for customers (especially if they are middle-management in large companies) to swim against the tide and invest in new ideas. Sometimes people’s resistance may be a test in itself: “If this company survives another year, then they must be doing something right, and then I can give them a chance”. I found the image below on Bellingham Entrepreneurs website. I don’t know if they are the originators, but it’s a pretty fun illustration of the startup reality. My god it helps when customers start calling you! I bet most successful founders remember their first incoming customer call better than their first kiss. And getting those incoming calls will be a lot easier if you care about branding. Building awareness is easier for B2B companies than B2C businesses, but with some creative talent, everyone can be cost efficient in the digital landscape. Strossle has allocated resources to marketing and PR since day one. The primary target group for our communication has always been media companies, because without publisher partners we would not have anything to sell. The secondary target group was advertisers. For both these groups we want to be top of mind when it comes to content discovery and native advertising. I’m not sure we are fully there yet, but from the number of incoming requests via hubspot per day, I can see we are well on our way. Being a small company we have to activate creativity across the company. At the HQ we produce stories and material that can be of use everywhere in the group, simultaneously we encourage all country managers to take local initiatives, that may vary substantially due to different market conditions. One good example is Slovakia, where our country manager Filip Kuna has made a fantastic job establishing Strossle as thought leader, launching and owning the leading digital marketing forum on Facebook and writing a best seller book about Native Advertising. As you grow and launch in new markets, it’s critical to get people onboard who have the skills, the engagement and local networks to secure a fast rollout. Strossle has chosen to employ an ownership model where we invite local entrepreneurs to become shareholders in our subsidiaries. The idea is to offer an attractive combination of platform/infrastructure and lower-risk ownership. In return we get super-smart people, willing to walk the extra mile. This model allows you to grow much faster than if you have to wait until you got the organisation and infrastructure in place to follow the traditional employment path. Hence, It also increases your chances of securing a market position that otherwise would be difficult to get. All companies are different and surely there are companies with other success factors top of mind. Tell us about your experiences! Send them to dan.willstrand@strossle.com and maybe we can create a new post based on incoming ideas.